Who's in the Christmas spirit?! Last night we had the Kmart traditional holiday party with cheese & crackers and cookies, Christmas music, Elf, and decorations! I may or may not have worn Santa socks. 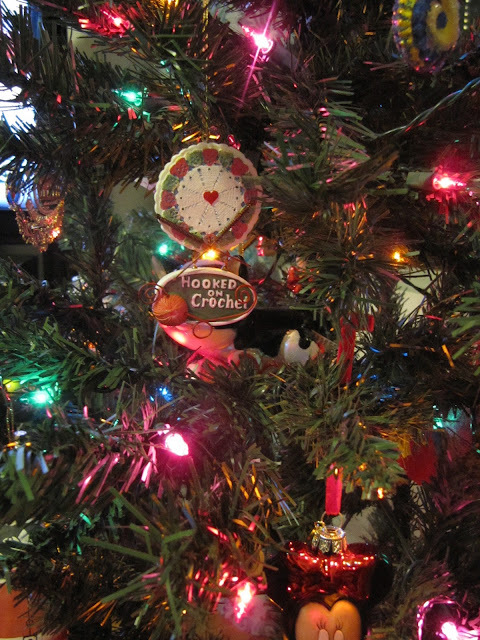 One very special ornament I got to hang on the tree this year is my new "Hooked on Crochet" ornament! My old friend Laura gave it to me at our 10 year HS reunion (YIKES) over Thanksgiving. Lucy is Laura's daughter. Do you love it?! I do!! !